Jivan Lee’s oil paintings explore the raw material of paint to create images and emotional response. 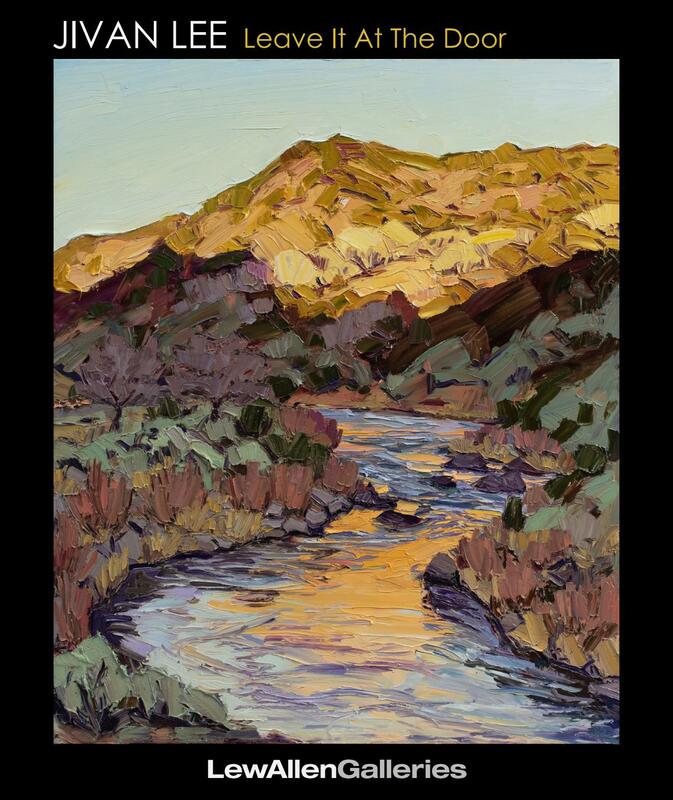 Based in Santa Fe and Taos, Lee is inspired by the landscape and artists of the southwest. He works on-site from direct observation and response to the physicality of the natural environment. His work is distinguished by thick brush strokes and a tactile, sculptural quality, applying paint with spatulas, brushes paper towels, bare hands, and even dirt. The resulting pieces move between abstract fields of color, topographical planes, and recognizable imagery. Up close they celebrate paint for paint’s sake – luscious, colorful, moldable. When viewed at distance, the paintings collect into studies of light, architecture, recognizable figures, and landscapes – a transformation that highlights the relationships between raw material and familiar image, inviting visceral contemplation. Lee is originally from Woodstock NY, and studied painting at Bard College. His paintings have been exhibited nationally at museums and educational institutions and covered in publications such as Fine Art Connoisseur, Southwest Art, Art Business News, and Plein Air Magazine. In addition to painting as much as time allows, Jivan also helms the Project for Art and the Environment and occasionally teaches.